Hello, friends! Laura here today to show you how to create some pretty place cards for your holiday table. Sometimes the simplest décor can be the prettiest. These place cards are a cinch to put together and will add a little sparkle to your place settings. Start by trimming your cardstock. My favorite size for place cards is to make them 4 inches by 5 inches. When folded in half the front of the card is four by two and a half inches. The trim and score board makes it easy to cut and score the place cards. I cut out rectangles from gold sparkle paper to add to the front of the card with adhesive. The word punch board is perfect for adding names to the place cards. I cut out the names from white textured cardstock. I trimmed a piece of patterned cardstock to go behind the cut-out letters. And then I cut a v shape at the end of each one. You could stop here and simply add the cut-out names to the front of the cards, but I wanted to add a little something extra. Paper die-cuts are pretty but can sometimes use a little extra touch. I used the crop-a-dile to add a fun gold star shaped eyelet to the top of each of the ornament embellishments. I added these to the place cards using a foam adhesive square. These cards are not fussy; however, you could dress them up even more by adding a ribbon or additional embellishments to them. Creating a simple place card is great when you have a lot of guests you are hosting. The gold paper makes them festive and fun! The word punch board is one of my new favorite tools for adding names or words to my projects. Hello We R Fans! Kimberly here today with a trio of thank you cards. This time of year always reminds us to put our focus on gratitude and sending thank you cards is such an amazing way to express that sentiment. Using the new We R Memory Keepers Pocket Punch Board helped me make several thank you cards quickly, check them out. The Pocket Punch Board is another wonderful addition to the punch board family! This tool allows you to make several different types of pockets. 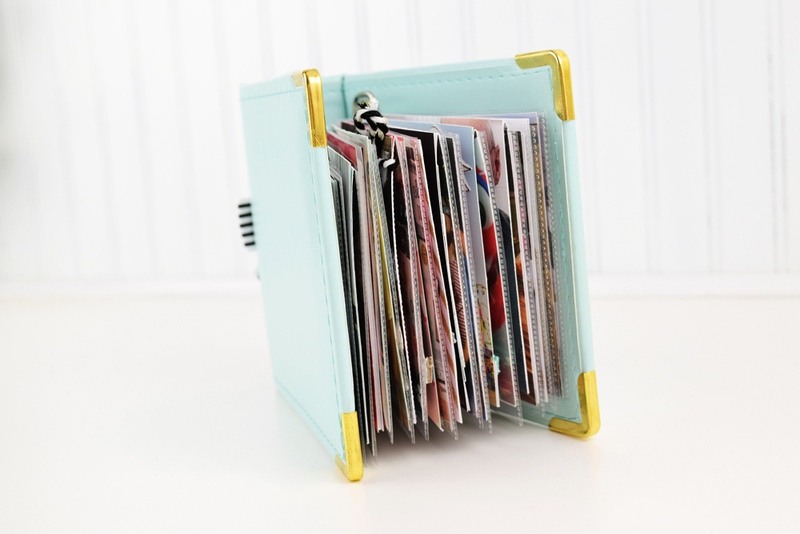 And of course, it comes with an amazing guide to create pockets in whatever dimension you need for your project! The reason I was pumped about the Pocket Punch Board was this patterned paper from Pebbles that I have been hoarding. The paper was full of gorgeous thank you tags and making pockets gave me the perfect way to use them on my cards! Because of the tags I would be using, I chose the pocket design with the notch. The Pocket Punch Board is incredibly easy to use. With two cuts, three scores, and a punch, my pocket was done! On these cards, I made the 4” x 3.5” pockets. There is something about the notch at the top of these pockets that gets me! Maybe it’s the nostalgic feel of library card pockets? Whatever it is, I love the look! All the tags on my cards were cut from patterned paper. I used my Cropadile to punch the holes in the tags and threaded thick twine through each one. On each pocket, I added another thank you phrase, because, can you ever say thank you enough? I also added some stickers. While these stickers were clear, I placed them on white cardstock and trimmed them out. This made them pop more and stand out better. What will you put inside your pockets? Hello friends! Rebecca here with you today, and this is the time of year when family and friends gather to spend time together and eat a lot of big meals! Today on the blog I’ve got some nifty ideas for table place cards with a fall décor theme. For each of the settings, I used leaves as part of my theme because they’re quintessential autumn and I can’t use enough leaves in my projects at this time of year! To begin, I die cut several different styles and sizes in various cardstock colors ranging from off-white to pale mint, to charcoal gray and black. You’ll also notice I didn’t stick to a classic fall color scheme; it’s easy enough to change the colors to warmer hues if you’d prefer a more traditional fall look. One of my first thoughts when it came to this project was how to personalize the seating assignments. As much as I wish I had gorgeous calligraphic handwriting, I simply don’t. Then I thought of the Word Punch Board, which allowed me to easily spell out any name or phrase I wanted. I considered different ways to display the placecards, shying away from the standard folded card and opting for the leaf shape or a tag tied onto some part of the place setting. I love the look of a tag displayed with the silverware, so I have a couple options that way. Each setting I’m sharing today is pretty simple, because when you’re cooking for a house full of people, and you have several seat assignments to make, you don’t need them to be highly complicated. On the first setting, I punched the name right onto the leaf. This took a bit of maneuvering because my die cut leaf is curved and the punch board is straight, but the end result was worth it! To achieve the curved word, I punched one letter at a time and I removed the tray from the board, flipping it upside down so I had a better idea of the letter placement. I also started in the middle with the ‘R’ to be sure the word would be centered. I punched the R, then the A’s, and then the S and H. These little tricks helped the process go smoothly and quickly. I layered the name leaf with a solid black leaf; the contrast in cardstock colors helps the punched-out word to be seen. I tied the leaf duo to a set of utensils with jute twine, adding a swatch of lace underneath and a single–real–eucalyptus leaf to the top. The final touch was another die cut leaf in a different style tucked under the cutlery; I cut that leaf from some Crate Paper Merry Days paper. This place setting can be easily styled up or down, too, depending on the mood of your entertaining. Omit pieces like the lace and the add-on leaves for a simpler do; choose satin ribbon instead of jute and add some stitching to the name leaf for something fancier. Another option for the utensils is this tag. Instead of a name here, though, I used a favorite phrase—GIVE THANKS—punched into more CP Merry Days paper. This style works great when you’re allowing your guests to choose their own seats, but still want to dress up your table. I punched the words on 2 thin strips of patterned paper and connected them with a length of brown glitter tape. I adhered the note onto blush pink card stock and set an eyelet on the end with my Crop-A-Dile tool. The back of the tag is blank, so this is a fun opportunity for your dinner guests to write down something they’re thankful for. I tied it to the utensils with rose gold shimmer twine and added a short branch of eucalyptus under the tag, propping it up off the plate. You can choose your own phrase or tag style, but this one is nice for recording gratitude and/or memories. Another, more versatile way to use the Word Punch Board on your Thanksgiving place cards (or tags, if you’d rather), is to use the letters you’ve punched out to spell the names of your guests. This is a great option for longer names or more complex shaped place markers. This super-simple set up is just a trio of die cut leaves (one of them is stamped, too), and glitter tape letters. Glitter tape is an awesome medium to use with the punch board because you omit the timely step of gluing each itty-bitty alpha onto the tag. American Crafts makes my favorite glitter tape and I used it here in the Brown Sugar shade to spell EMILY. Another eyelet and some jute twine tied to this pumpkin stem, and this easy seat assignment is complete. Switch out the colored fabric pumpkin for real mini pumpkins for a more natural table setting. Speaking of natural place settings, I got extra-creative and incorporated a pomegranate into my last sample. This came about because our neighbors have an overflowing pomegranate tree and they were generous to give us a grocery bag full of them! The bright red adds amazing color to the table and sticking a trio of leaves into the stem makes for another easy decoration. I used the punched glitter alphas again, this time in Chestnut tape. The red fruit and simply spelled-out names are perfect for Christmas decorating, too. Use star or pine tree die cuts in place of the leaves for a festive feeling. Whether you’re going all out with a fancy tablescape and assigned seating, or keeping things more casual, I hope you’ve found these place cards pretty and functional. The Word Punch Board is such a handy tool for personalization, and I’ll certainly be choosing one of these styles for my own Thanksgiving table this year! Hello and welcome to our blog! 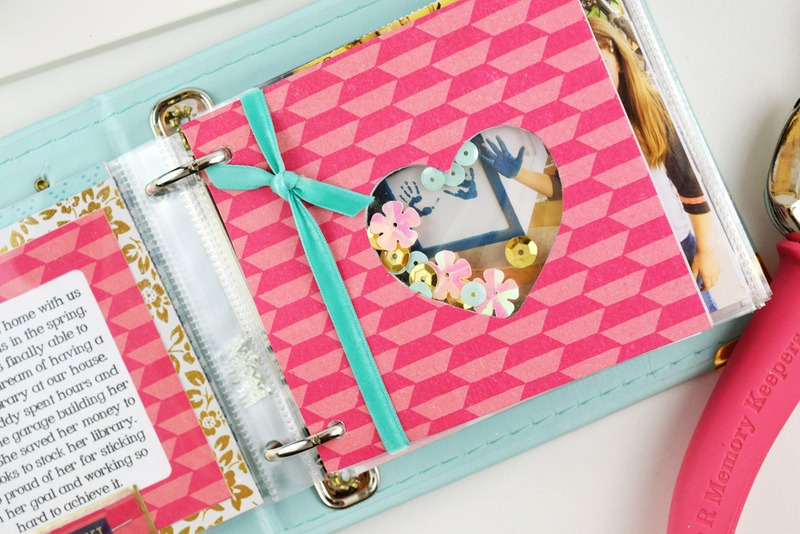 It’s Eva here today showing you how to use your eyelets in three different ways to create some fun cards. The new Eyelet Cases are absolutely amazing. They come in three different hues (pastel, bright and metallic) and have medium sized eyelets and shaped eyelets like stars, flowers and hearts, how cool is that? The first way you can use your eyelets is simply to pass some twine or thread between 2 of them. I began my card by making a few points where I wanted my eyelets to be. Tip: Use your Square Guide to make perfectly aligned lines every time! I thread some embroidery floss trough the eyelets and embellish them with sequins and other small things. Another way you can use eyelets is to cover an entire shape like a circle, a heart or a flower. The heart eyelets were perfect for my “I Love You” card. I cut the sentiment with my electronic cutting machine and then drew the heart shape on a small piece of cardstock. I set all my eyelets very close to each other making sure all the white space of my shape was covered. Finally, I put some colored cardstock on the back and glued the top of the card with some 3d dots. 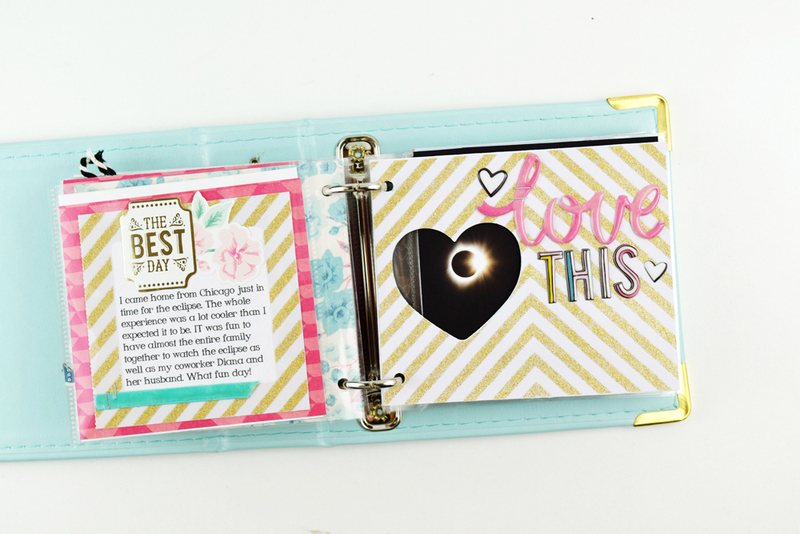 The third way you can use eyelets is simply to accent the card, like you would use enamel dots! For this card I used my Precision Press Advanced to stamp a star background on my white cardstock. This tool is really amazing, it made my job really easy and the best part is that you can go on and stamp again if you didn’t make it right the first time! I added a sentiment “I Love You More Than All The Stars” and added some gold eyelets here and there. Super simple and fun! What do you think? Do you use eyelets to embellish your projects! Why don’t you try some of these techniques next time? Hello We R Fans! Kimberly here today with some home décor for fall. It seems that I am always pulled towards creating projects for our house. Adding a personal and handmade touch is wonderful, but its also great to be able to add a trendy touch without breaking the bank. I mean, who can change all the pillows and blankets out all the time? But by using my We R Memory Keepers tools and some patterned papers, I can create a lovely piece of seasonal décor, and be a bit fashionable as well. I began by using my Banner Punch board and that fantastic checkered paper from Pebbles new line, My Bright Life. I am seeing that black and white gingham everywhere, and I love it! The Banner Punch Board is a constant friend on my desk, making quick work of creating pendants that are the exact size and style I want. After layering some other papers, die cut images, and ribbon, I started to create the leaf image from Copper Happy Jig Wire. The booklet that comes with the Happy Jig provides clear instructions for making the shapes. After following the image and placing my pegs, I wrapped the wire around. The wire shapes come together easily. The dimension they add to a project is really cool! Tip: I use a liquid adhesive to secure my wire shapes to my projects. Another We R Memory Keepers tool that comes in handy when making banners is another on of my old favorites, the Crop-A-Dile. To punch the holes for the twine (used to hang the banner), simply stack all your pieces together and punch through every piece at once. No mistakes and no misalignment. Do you decorate for the seasons? Where would you hang your fall banner? Hello We R friends! Today is one of our favorite days because we get to announce some more new releases! Are you ready? Okay, let’s get started! Easily remove, place, and clean intricate die cuts with one tool! Use the Brush to release excess die cuts. Use levers to switch between Piercer (to lift and place small die cut pieces) and Scraper (to flatten bubbles and clean mats). 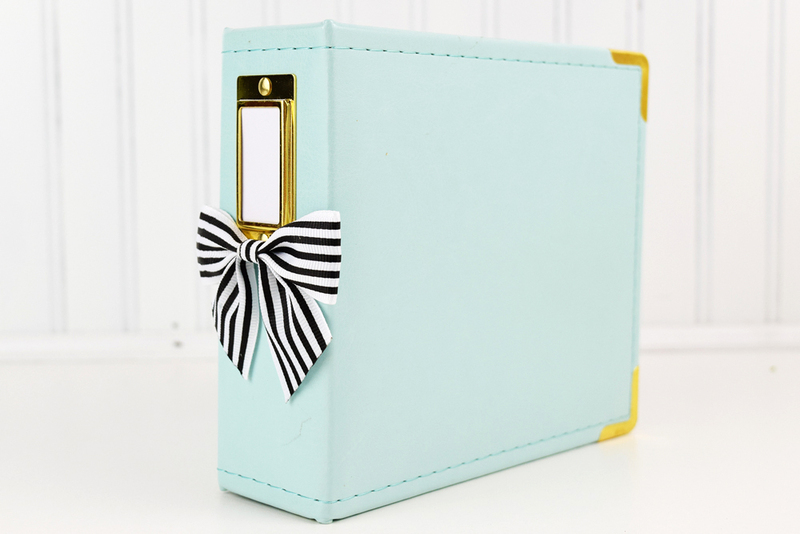 Our Crop-A-Dile Big Bite comes in a fresh new teal color, and we’ve got three new sets of Eyelets in convenient Storage Cases that come in different shapes in Pastel, Bright, and Metallic colors. Just in time for the gifting season, we’ve got three new silicone candle molds for use with the Wick Candle Maker! Choose from a ball shape, a diamond, and geometric. This new releases start shipping this month, so look for them in stores and online near the end of October. So, what do you think? Which new release are you most excited about? Let us know in the comments below! Your Favorite We R Tools! Hello and welcome back friends! This week we’re sharing our Top 3 Tools and what we love about them. We thought it would be fun to start the week off by sharing your Top 3 Favorite We R Tools–three of our best sellers! For years the Crop-A-Dile has been a favorite among crafters of all kinds. It’s a versatile and powerful tool that punches holes in two sizes (1/8 and 3/16) and sets multiple sizes of eyelets, snaps, and other metal embellishments. The Crop-A-Dile punches through paper, chipboard, cork board, tin, aluminum, acrylic, leather, MDF, wood, and more. 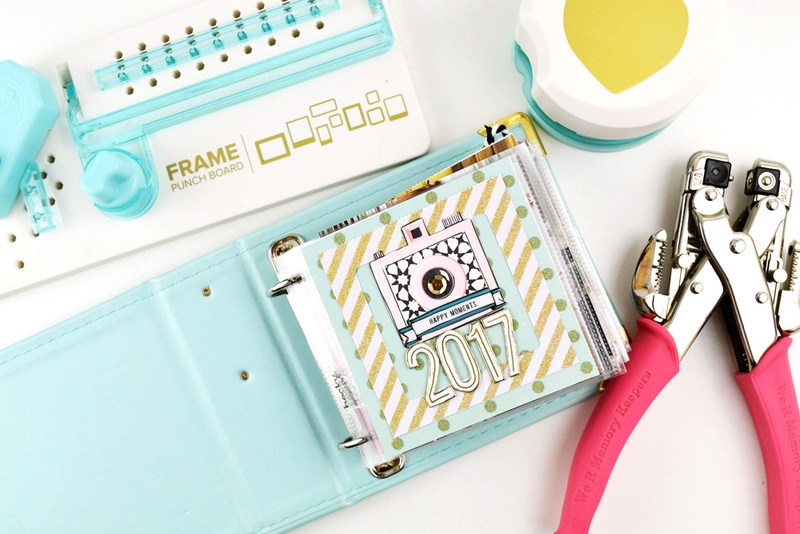 Making your own notebooks, planners, journals, calendars, and mini books is a cinch with The Cinch book binding tool! This has been a staple in thousands of crafts room for many years. 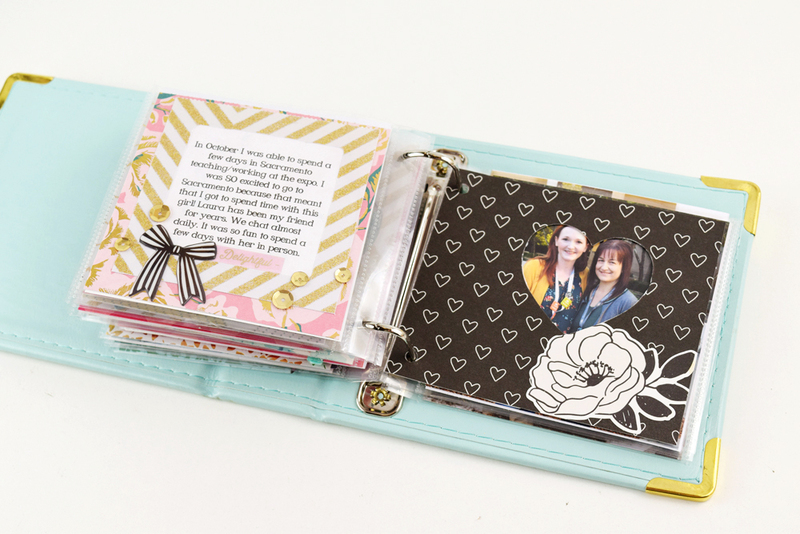 Choose from multiple binding wire colors or spiral binding as well. We R Memory Keepers has become well known for making Punch Boards. These innovative tools are exclusive to our brand, and are a favorite of crafters worldwide. If you like to make your own party decor, home decor, or gift wrap then these are the tools for you! Thanks for stopping by, and for your enthusiasm and support of our crafting tools. Be sure to check back each day this week to see which tools are our design team’s favorites. Will your favorites be on their Top 3 lists?